James was a primary author of Texas Gov. Rick Perry’s national energy plan when Gov. Perry ran for the presidency in 2012. James is a primary author of Louisiana Gov. Bobby Jindal’s America Next energy plan that Gov. Jindal released this past September. He has also advised 2016 presidential candidate Ted Cruz’s top staff on energy and environment issues. James writes a regular column on free-market energy and environment issues for Forbes.com. He served as Communications Director for the free-market website Florida Media Trackers. He also hosted Tampa conservative talk radio station WGUL’s weekly radio program Inside Florida Politics. James has discussed free-market energy and environment policy on Fox News Channel, CNN, CBS Evening News, The Blaze, and many other national television networks and programs. He has been interviewed on-air by Sean Hannity, Glenn Beck, Neil Cavuto, Stuart Varney, Laura Ingraham, and Mark Levin. He has been published and quoted in just about every major newspaper in the country. He also makes regular appearances on many national conservative talk radio programs. James has lived in the Tampa Bay area for the past 20 years. Alexander Snitker (born August 6, 1975) was the Libertarian Party candidate in the 2010 Florida U.S. Senate election for the seat being vacated by Republican George LeMieux. He was the first Libertarian U.S. Senate candidate to appear on the ballot in Florida's history. BackgroundSnitker was born Waukon, Iowa to Patricia and Dennis Snitker and lived on the family farm until age 5. He moved to New Port Richey, Florida when he was 8 years old where he later graduated from Gulf High School. While in high school he was a member of the Naval Reserve Officer Training Corps. During this time he commanded the school's drill team. While attending high school he also trained and taught Isshin-ryū karate in which he achieved a black belt. He then served eight years in the U.S. Marine Corps, where he was deployed in Haiti and Norway, and served aboard the USS Tortuga (LSD-46). He is married to Kelly Snitker, and has a young son. He worked for AXSA Document Solutions until July 2010, when he left his job to campaign full time. He is a proponent of a Constitutionally-limited federal government, individual liberty, and a non-interventionist foreign policy, and is a proponent of citizen and states rights. His specific proposals include the repeal of the Sixteenth Amendment (income tax) in favor of the FairTax, a national sales tax on end-user goods and services. He also proposes a balanced budget amendment, term limits for Congressmen, and eliminating Congressional perks and pensions. The solar power industry and the so-called Green Tea Party suffered a crushing defeat last week as The Villages Tea Party voted overwhelmingly to oppose a Florida constitutional amendment to give the solar power industry special rights to sell power directly to electricity consumers. The vote followed a highly publicized debate between prominent solar power lobbyist Alexander Snitker and Heartland Institute Vice President of External Relations James Taylor at The Villages Tea Party’s weekly meeting. Atlanta-based Green Tea Party founder and solar power activist Debbie Dooley was scheduled to debate Taylor at the June 15 Villages Tea Party meeting, but Dooley called in sick claiming health issues prevented her from debating Taylor. Dooley designated Alexander Snitker to fill in for her at The Villages Tea Party debate. After an hour-long debate, Villages Tea Party president Aileen Milton asked attendees for a show of hands supporting and opposing the proposed amendment. Just one person supported the amendment while 70 people opposed it. Milton later pointed out that the one person who supported the amendment was not a member of The Villages Tea Party, meaning The Villages Tea Party unanimously opposed the proposed amendment. The unanimous Tea Party opposition to the proposed amendment defies media claims the proposed amendment is widely supported among Florida Tea Parties and Tea Party members and follows the Board of Directors of the Tampa 912 Project voting unanimously to oppose the proposed amendment after Floridians for Solar Choice chairman Tory Perfetti and Taylor debated the issue at a Tampa 912 Project meeting. Dooley, Perfetti, and Snitker have been the most prominent advocates of a proposed amendment to the Florida Constitution that would give the solar power industry monopoly rights to sell electricity to consumers directly from on-site power generation equipment. Environmental activist groups have coordinated with Dooley to schedule public appearances on behalf of solar power throughout the country. Dooley also joined Al Gore at a recent public rally for solar power and global warming activism. Snitker is a former Libertarian Party candidate for the U.S. Senate who now operates a lobbying firm that advocates for solar power. Perfetti is a former Tampa-area politician. The solar power industry and its advocates have been marketing the proposed amendment as a free-market initiative, claiming a new monopoly for the solar power industry regarding on-site electricity sales offers consumers more energy choices. Free market advocates counter that any proposal that designates a single industry sector to operate a newly created monopoly is antithetical to free markets and consumer choice. H. Sterling Burnett, Ph.D. (hsburnett@heartland.org) is a research fellow with The Heartland Institute. Alexander Snitker was the Libertarian Party candidate in the 2010 Florida U.S. Senate election He was the first Libertarian U.S. Senate candidate to appear on the ballot in Florida's history. Florida solar amendment - SOLAR ON THE RISE: A proposed state constitutional ballot amendment would open the solar energy market, but what comes next is a matter of dispute among some free-market advocates. James - 8 minutes - Respond to rebuttal and summarize position and reasons that not enough proof has been provided to place a Solar Energy Amendment on the ballot to change the Florida Constitution. 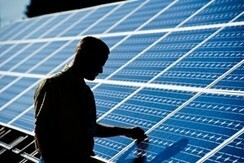 Alex - 4 minutes - Respond and summarize and proof of position to Amendment the Florida Constitution for Solar Energy. 15+ minutes Q & A from audience as submitted on index cards and asked by TVTP President - Questions will be directed to either or both positions. TALLAHASSEE, Fla. — Florida is one of only five states to prohibit residents and businesses from buying solar-generated electricity from anyone but a public utility. The restriction results in a solar monopoly, but an unlikely coalition of tea party, libertarian and progressive environmental groups aims to put the issue to voters. SOLAR ON THE RISE: A proposed state constitutional ballot amendment would open the solar energy market, but what comes next is a matter of dispute among some free-market advocates. Bad news for the unpopular energy giants. 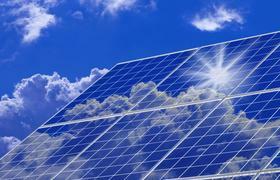 The deregulatory effort would open the solar energy market. Whether it would also pave the way for market distorting tax subsidies is a matter of dispute among some free-market advocates. Under the banner Floridians for Solar Choice, a registered political committee, the solar coalition is trying to amend the state constitution through a 2016 ballot initiative that, if successful, would remove all government and utility imposed barriers to buying solar electricity through small-scale solar systems. That means homeowners, landlords and businesses could buy electricity from private, non-utility solar companies supplying up to 2 megawatts of electricity at the same location as the solar installations, or from a connected property. The Orange County Convention Center is the state’s largest rooftop system and generates 1 megawatt of electricity, according to FSC. Proponents say this creates consumer choices. Marita Noon, executive director of the Citizens Alliance for Responsible Energy, a group outside the solar amendment coalition, says there’s a catch. While the ballot language doesn’t include solar subsidies, tax increases or solar energy mandates, critics are quick to point out they’re not expressly prohibited, either. “Changing our constitution such that it ‘shall be the policy of the state to encourage and promote’ equals subsidies and mandates by another name — not a free-market policy,” said Chris Hudson, AFP’s Florida director. Pro-amendment groups Conservatives for Energy Freedom and the Libertarian Party of Florida have issued strong statements condemning AFP over its public opposition to the initiative. Groups such as Greenpeace USA, the Sierra Club of Florida and the Tropical Audubon Society are predictably supportive of the measure, as are industry interests groups such as the Florida Solar Energy Industries Association, the Florida Alliance for Renewable Energy and the Florida Retail Federation. The lion’s share of funding for the umbrella group Floridians for Solar Choice comes from the Southern Alliance for Clean Energy, a left-leaning environmental advocacy organization that participated in a rally at the Florida Capitol last year for Democratic gubernatorial candidate Charlie Crist. The most recent records from the Florida Division of Elections shows the Southern Alliance for Clean Energy Action Fund has contributed $355,460 of Floridians for Solar Choice’s $370,248 total, or 96 percent. The Republican Liberty Caucus of Florida and the Tea Party Network support the initiative. The Gainesville Tea Party has yet to take a position, but the group’s former president and current steering committee chairwoman told Watchdog she supports it. “It’s a move away from the utility companies’ energy monopoly,” said Laurie Newsom. “That being said, we still won’t have a free market. Energy is subsidized. So the next question is, what are we going to do about it? That’s what makes this initiative interesting,” she said. Floridians for Solar Choice says the amendment would lead to more choices for homeowners to contract with companies that can provide solar power systems at no upfront cost and sell power directly to the customer at a long-term fixed rate. One such company is Solar City. The California-based business is a national leader in supplying rooftop solar installations and is a founding member of nationwide advocacy group The Alliance for Solar Choice. But, according to Noon, the promises of “no upfront costs” are only doable with heavy doses of taxpayer support. Solar City advertises government tax credits — 30 percent federal — and tax rebates as part of its consumer financing options that include long-term contracts, sometimes decades long. Market-oriented supporters of Florida’s solar amendment say subsidy talk, at this point, is misplaced. “What I like about (the amendment) is that people are cracking away at the current broken system,” said Newsom. “The thing that concerns me the most is that we have to resort to changing the constitution just so the public can have a say,” Newsom said. Floridians for Solar Choice has obtained 72,025 petition signatures as of Tuesday, enough for the Florida Supreme Court to review the amendment language. The group needs 683,149 signatures to appear on the voting ballot in 2016. The future is not shining brightly in Florida? The state's largest electric utilities, Attorney General Pam Bondi and a number of influential business groups want the Florida Supreme Court to block a proposed solar-energy ballot initiative. Florida Power & Light, Duke Energy, Tampa Electric Co. and Gulf Power filed a joint brief Wednesday arguing the proposed ballot language by a coalition known as Floridians for Solar Choice would be "misleading" to voters. "The proposed amendment fails in several respects to meet basic standards that are intended to protect voters from being misled or confused," FPL said in a prepared statement. "Indeed, the amendment's language is largely unclear, but one thing is certain: It would amount to an unprecedented constitutional ban on consumer protection." Bondi also filed a brief seeking to keep the initiative off the November 2016 ballot and said the measure, "as written, will leave voters uninformed and consumers vulnerable." "As a large and growing state, Florida needs a diverse energy portfolio that includes solar energy, however, the proposed constitutional amendment mandates major changes in existing law, using language that is unclear and misleading,'' she said in a prepared statement. Floridians for Solar Choice, which also submitted a brief to the court Wednesday, maintained its proposal and a needed financial-impact statement meet legal requirements. "We expected that the petition would upset the status-quo and generate opposition, however, we believe that briefs filed by opponents don't present a viable threat to the success of our effort to bring free market principles and consumer choice to all Floridians," Floridians for Solar Choice Chairman Tory Perfetti said in a release. "Florida's families and businesses deserve to have more choices as to how they power their homes and businesses. The campaign continues to gather support and signatures and looks forward to having voters decide on removing barriers to solar choice in Florida." The court will hear arguments Sept. 1 about whether the initiative should go before voters next year. If the court signs off, supporters of the initiative will need to submit 683,149 valid petition signatures to get the measure on the ballot. Floridians for Solar Choice has projected that it might have to raise $8 million to $10 million to counter campaign opposition from large power companies. The ballot summary states the intent of the amendment: "Limits or prevents government and electric utility imposed barriers to supplying local solar electricity. Local solar electricity supply is the non-utility supply of solar generated electricity from a facility rated up to 2 megawatts to customers at the same or contiguous property as the facility. Barriers include government regulation of local solar electricity suppliers' rates, service and territory, and unfavorable electric utility rates, charges, or terms of service imposed on local solar electricity customers." The amendment, in part, would allow businesses to generate and sell up to two megawatts of power to customers on the same or neighboring properties. Two megawatts have been estimated as providing the daily needs of a typical Wal-Mart or residential communities between 225 and 714 homes. The utilities contend the ballot summary is "vague" and "misleading," fails to disclose the impact on local-government revenue sources, and that the wording would limit regulations requiring consumer-safety protections. "Its title and ballot summary improperly use political rhetoric, mislead the voter through substantive inconsistencies between the summary and text, and hide the ball by failing to disclose to voters the current state of the law of utility regulation and the sweeping changes this initiative would create,'' the utilities said in their brief. Other opponents of the initiative include the Florida Chamber of Commerce, the National Black Chamber of Commerce, the Florida State Hispanic Chamber of Commerce, Orlando Utilities Commission and the Florida Chapter of the National Congress of Black Women. "Nowhere do the ballot title or summary state that the amendment drastically changes the regulatory scheme and shifts more of the costs to maintain the power grid to non-solar customers," the Florida Chamber said in its brief. "Nowhere are voters told that local governments would no longer be able to enforce residential-only zoning regulations against local solar power companies that want to establish commercial operations in residential neighborhoods." Floridians for Solar Choice counts among its members the Southern Alliance for Clean Energy, Conservatives for Responsible Stewardship, the Ecology Party of Florida, the Evangelical Environmental Network, Greenpeace USA, the Sierra Club Florida, the Space Coast Climate Change Initiative and The Tea Party Network. Last month, state economists released a study that found the initiative's proposal would result in more solar energy being available in Florida. However, the study also reported that electric utilities will make less money, resulting in fewer dollars for state and local governments, if Florida voters allow businesses and property owners to sell limited amounts of solar-generated power. FPL, Duke Energy, Tampa Electric Co. and Gulf Power have noted the four regulated utilities paid $643.9 million in franchise fees in 2014, a figure that could decline as solar suppliers providing service for neighborhood shops or homes wouldn't be expected to enter similar deals with local governments. One of the most interesting citizen-generated political development in Florida this year is the coalition attempting to get a ballot measure on the 2016 ballot that would give businesses and property owners the ability to sell a limited amount of solar energy. Florida is one of only four states in the union that prohibit citizens from buying electricity from anyone other than a utility. The Floridians for Solar Choice coalition consists of free-market conservatives, retailers and alternative-energy supporters. Member groups include the Southern Alliance for Clean Energy, the Florida Retail Federation, the Florida Solar Energy Industries Association, the Florida Alliance for Renewable Energy, the Christian Coalition of America, the Libertarian Party of Florida, the Republican Liberty Caucus of Tampa Bay and the Republican Liberty Caucus of Florida. It’s being coordinated by the Florida Green Tea Coalition, led by Atlanta Tea Party head Debbie Dooley and Oldsmar Republican Tony Perfetti. But there are a faction of Tea Party Republicans who wince at the idea that they support the measure. In fact, they say it’s quite the opposite, and have signaled their opposition to the proposal during debates that have been held in Tampa and, most recently, the Villages between advocates and opponents of the proposal. A blog post written by H. Sterling Burnett, a research fellow with the Heartland Institute, appeared on that organization’s website on Tuesday. Burnett writes about last week’s debate between Heartland’s James M. Taylor and Alexander Snitker, vice president of the Libertarian Party of Florida at the Villages. Dooley was scheduled to debate, but tells Florida Politics that a blood clot that began forming in her legs after a cross-country flight prevented her from traveling down from Atlanta last week. In the Heartland post, Taylor accuses Dooley of chickening out of debating him. The proposed solar power constitutional amendment would, in part, allow businesses to generate and sell up to two megawatts of power to customers on the same or neighboring properties, bypassing the public utility companies. Advocates say it opens up the energy market and gives consumers choice. As Burnett writes, some free-market advocates say that any proposal that designates a single industry sector to operate a newly created monopoly is antithetical to free markets and consumer choice.